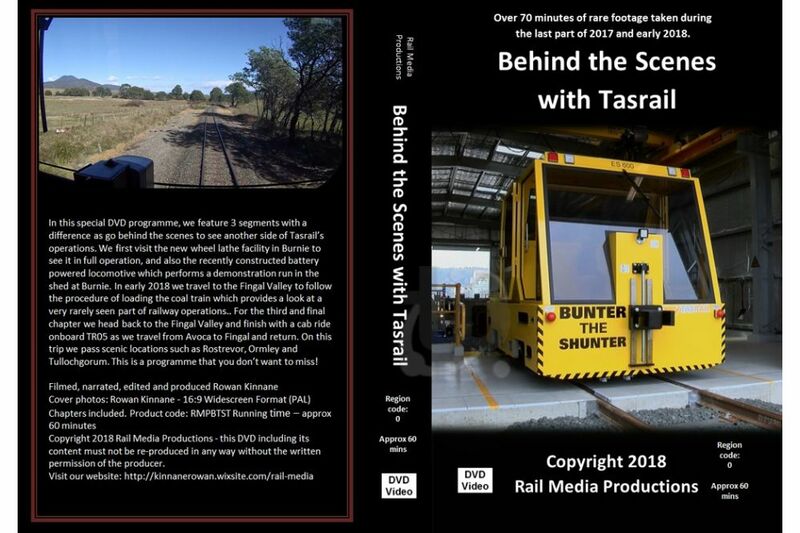 In this special DVD programme, we feature 3 segments with a difference as go behind the scenes to see another side of Tasrail's operations. 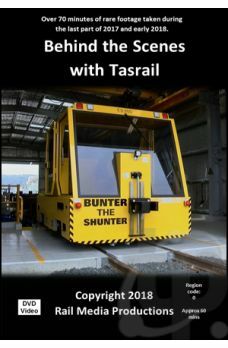 We first visit the new wheel lathe facility in Burnie to see it in full operation, and also the recently constructed battery powered locomotive which performs a demonstration run in the shed at Burnie. In early 2018 we travel to the Fingal Valley to follow the procedure of loading the coal train which provides a look at a very rarely seen part of railway operations. For the third and final chapter we head back to the Fingal Valley and finish with a cab ride onboard TR05 as we travel from Avoca to Fingal and return. On this trip we pass scenic locations such as Rostrevor, Ormley and Tullochgorum. This is a programme that you don't want to miss!